South African consumers are facing an increasingly stressful, time-starved lifestyle which has created a burgeoning demand for convenient solutions that can help simplify their lives. This lends itself to a host of untapped opportunities for South African manufacturers and retailers, says a new Nielsen report. The latest report from the global measurement company focuses on the quest for convenience and explores changing global consumer needs and highlights the rapidly growing demand for convenience in markets around the world. Clear proof that South African consumers are desperate to simplify their lives, is that when asked which products they “wish were on the market but are not”, 40% want products that make their life easier, 36% say they would welcome more products that are convenient to use, while 25% said products for small families and households and 20% said products tailored to a specific need. Nielsen executive director thought leadership global markets, Alisa Wingfield, comments, “It’s clear that convenience means different things to different consumers around the world, depending on their circumstances, culture, location, market maturity and access to technology. Overall, the Nielsen report illustrates consumers’ convenience choices are underpinned by their search for ease, utility and simplicity in three areas: consumption, shopping and engagement experiences. In light of this, it’s no surprise then that some of the biggest uptakes by South African consumers in their quest for convenience has occurred within the ready prepared and on-the-go meal solutions, home or office grocery delivery offerings, and tech-driven “on-demand” services. 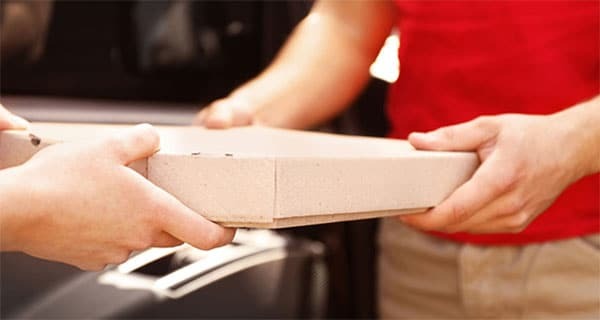 For example, one third (34%) of South African consumers are now using restaurant delivery (eg Uber Eats and Mr Delivery) or meal kit services (eg UCook and Daily Dish) up from 29% in 2017, and 19% in 2016. Within this context it’s interesting to note that local meal kit provider UCook recently reported a projected turnover of R80-million by the end of 2018 stemming from 100,000 meal kit deliveries this year. Evidence of the inherent potential for growth within this sector is also clear with the investment by local mass retailer Checkers having launched its own in-store meal kit service in August 2018. Grab-and-go meals from quick-service, fast food and street vendors are also on the rise in South Africa, with 63% of local consumers having visited a fast food outlet in the past six months, 55% opting for casual dining and 34% visiting a formal restaurant. Lunch and dinner are the meals most likely to be substituted with out-of-home dining options, with 50% of South Africans opting to eat outside on a monthly basis, 18% weekly and 31% less often. Shopping experiences for consumers are driven by an evolving retail landscape, e-commerce and omnichannel facilities. A Nielsen e-commerce study across 30 countries indicates FMCG online sales are growing at estimated five times faster than offline sales, and by 2020 global FMCG e-commerce will be worth more than $400-billion and comprise 10% to 12% of overall FMCG market share. With the rise of e-commerce in South Africa taking some bold steps during the last few weeks with the merger of Superbalist and Spree, it seems that mobile e-commerce may finally be on a path to reaching its full potential. Locally, the e-commerce market is not as developed, despite the saturation of mobile devices. This indicates an opportunity to tap into the ability of consumers to now be connected anytime, anywhere. This prevalence of connectivity provides multiple touchpoints for manufacturers and retailers to interact with consumers, and leverage localisation to improve engagement through personalised and in-the-moment recommendations. 36% said that they would like to see online retailers who would allow them to make special product requests to suit their needs. Against this backdrop Wingfield says; “Omnipresent technology adoption is providing an ever-increasing array of consumer data, enabling greater customisation.